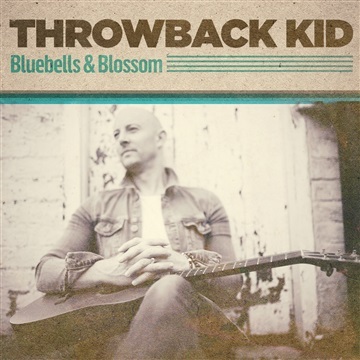 'Bluebells and Blossom' is Throwback Kid's debut single release taken from the forthcoming EP 'Flowing With The Feeling'. Singer / Songwriter Pete James has been making music in different forms since his first cassette release back in the late 90's. Having recently re-located with his family to the sunshine coast of Eastbourne, East Sussex, England, Throwback Kid is his new project. If happy feeling, acoustic driven pop folk is your thing then checkout 'Bluebells and Blossom', and make Throwback Kid the sound of your summer. Recorded by Trevor Michael at Echo Zoo Studios, Eastbourne, E Sussex, England.